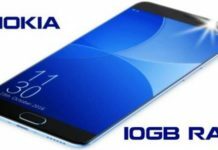 The upcoming Nokia smartphone includes a range of devices that will be mostly under the Android One program. The next in the pipeline is the Nokia 9 and Nokia 9.1 which might be called as the Nokia 9 Pureview. The Nokia 9 is expected to be the flagship smartphone carrying the HMD brand for the rest of the year. 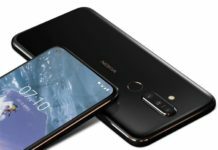 Today a press render published by 91mobiles provides another look at the device. The device will be known for bringing back the Zeiss lens with 5 camera sensors on the back along with a telephoto camera. According to rumors, the Nokia 9 Pureview specifications might include 5.99 inch AMOLED display with 2880 x 1440 pixels with 18:9 aspect ratio. Under the hood, the device will be powered with Qualcomm Snapdragon 845 chipset out of the box coupled with either 8 GB of RAM and 128/256 GB of inbuilt storage. Beside the 25 mega pixel rear camera, the device is expected to come up with a 12 mega pixel camera on the front and a 4150 mAh battery will keep the device running for two days of battery life once it’s fully charged. 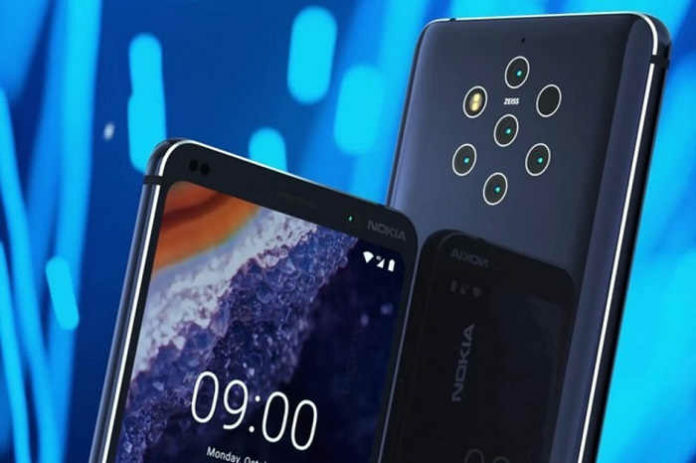 The Nokia 9 Pureview could be priced at nothing less than $800 or even it may go up more than $1000.